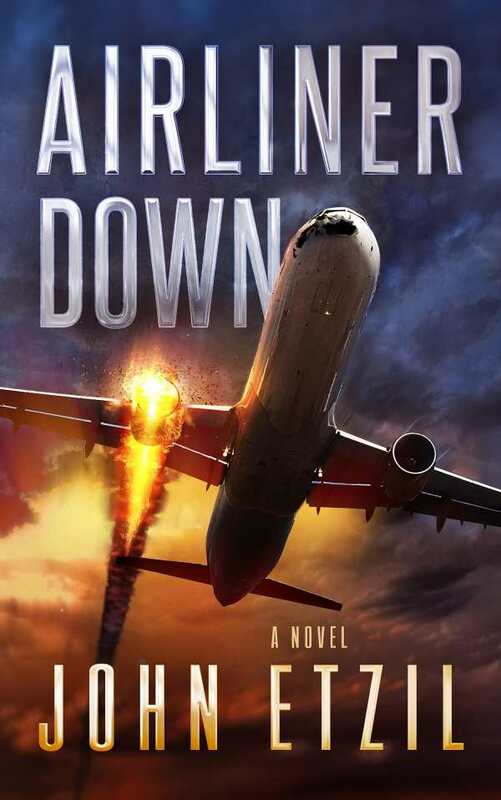 Airliner Down is a tight thriller, told with meticulous details and furious with action. John Etzil’s fast-paced and exhilarating thriller Airliner Down is not a book for those with aerophobia. Set aboard Flight 2262 as it flies over the Pacific, this book pits its heroic protagonist against the elements, time, and terrorists armed with powerful explosives. Kevin McSorely is an airline pilot and an everyman who finds himself in an extraordinary position when, while off-duty and bound for a dream layover on Hawaii, his flight crosses paths with terrorists. It turns out that C-4 explosives are all over the plane. Even worse, weather and technical glitches force McSorely, who has to take the reigns of the mega airbus mid-flight, to put everything on the line in order to keep three hundred fellow passengers alive. Kevin’s once-in-a-lifetime experience starts even before the airplane takes off. While in the parking lot, the brave McSorely saves a stewardess from a fate worse than death. The ramifications from this dramatic event play out inside Flight 2262. Action-packed and full of gripping scenes and unforgettable dialogue, the book is a true feast for the mind as well. This potboiler inundates its readers with technical information about what it’s like to work inside the cockpit, from measuring altitude and speed to adjusting the controls based on turbulence and rapid changes in the weather. For some, such highly specific information may impede reading pleasure, but all included facts serve a purpose, expertly placing the audience in Kevin’s shoes. The tale is told in time-stamped sections that elevate its tension. Each chapter counts down the doomsday clock as each passenger comes closer and closer to the “big sleep.” An omniscient narrator stokes the fear, and violence rests under seemingly innocuous scenes, from passengers ordering drinks to perfunctory discussions about vacation plans and nice weather. The characters are all believable. Kevin and the other passengers are described in fully human terms, warts and all. The terrorists are more stereotypical; at times, they come across like villains from a 1980s action film. Still, the story captures what it’s like to face imminent death while you’re hopelessly attached to a chair twenty thousand feet in the sky. The passenger’s fear, anxiety, despair, and hope all come crashing down at the end, and the conclusion wraps all points up nicely.